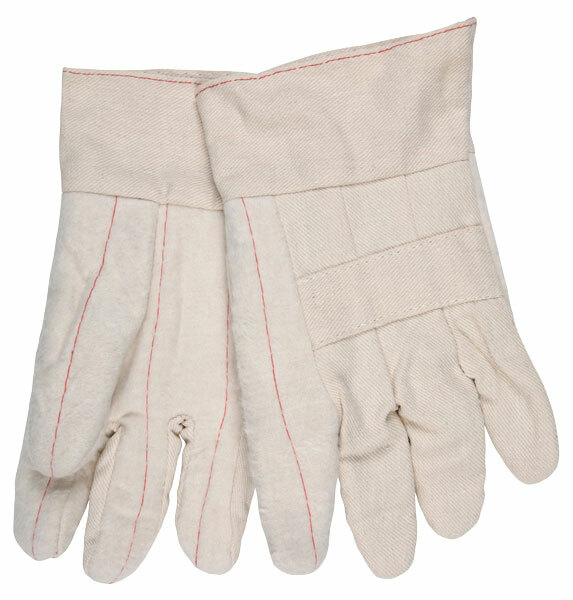 Hot mill gloves are used to handle low to high temperature objects. MCR Hot Mills are available in many styles and materials. Each glove has a different heat resistance capacity. Hot mill gloves are needed in many segments of manufacturing. The 9132 is an heavy weight 32 oz. 100% Cotton glove with a 2.5" band top.